Алёша, or Alyosha, is the second largest statue in the Russian Federation. The largest is in Volgograd, where I haven’t been. It commemorates the soldiers, sailors and airmen of the Great Patriotic War. (Better known to westerners as World War II). 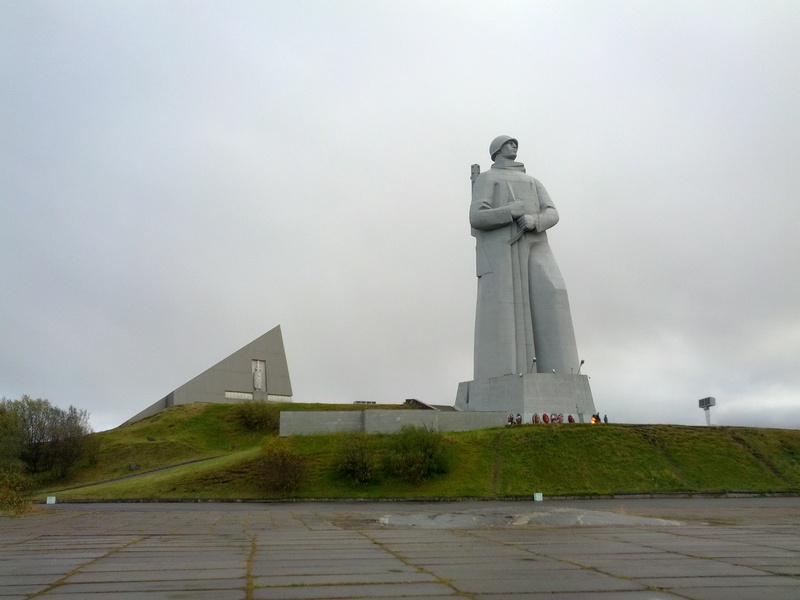 The statue is over 30 metres high and looks west across the Kola peninsular. It’s quite a striking image against the grey Arctic skies, the only colour: flower wreaths and the eternal flame at the foot of the statue. It was a cold bus ride to get to the statue with Ed, but worth the trip. The statue stands proud on a hill and can be seen from the city, but the photos I took from there don’t do it justice. As I ride off to Norway tomorrow, West to the border and Kirkenes, Alyosha will be watching me leave.